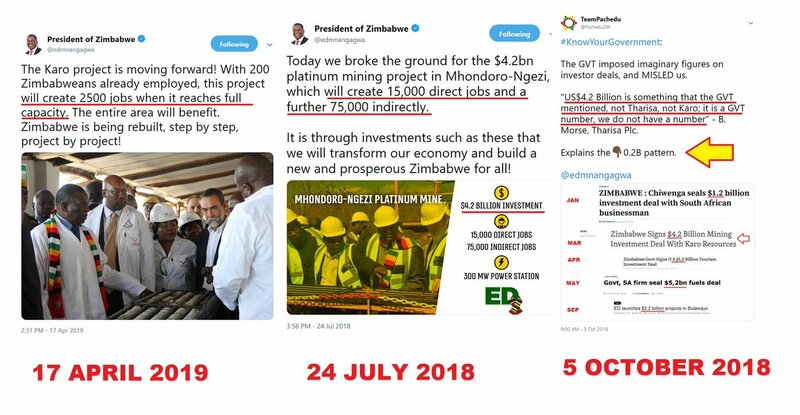 President Emmerson Mnangagwa appears to have been caught in a huge lie after claiming the Karo Project to create only 2,500 jobs when the project reaches full capacity. This is a serious reduction of 90,000 jobs claimed last year. 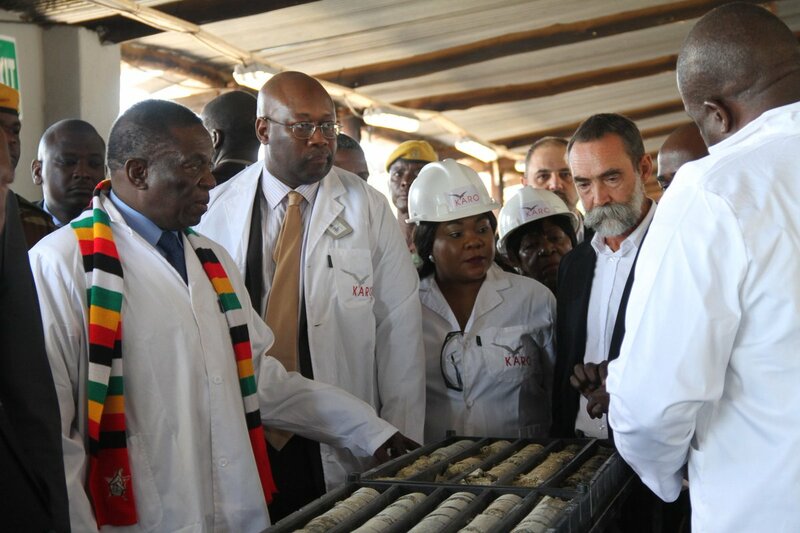 Shortly before the July 30, 2019 elections, Mankangova claimed that the Minh's Mining Project would create 15,000 direct jobs and 75,000 jobs indirectly. Below are the images of Team Team Pachedu.